#02 Miller American/Lone Star Peterbilt Thunderbird driven by Mark Martin in the 1986 season. 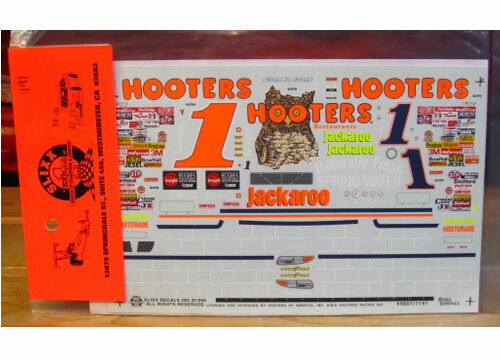 #1 Hooters Grand Prix driven by Rick Mast in the 1996 season. #2 Miller Lite Harley Davidson Taurus driven by Rusty Wallace in the 1999 season. 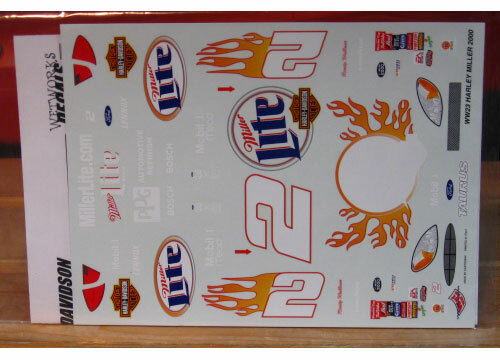 #2 Miller Lite Harley Davidson Taurus driven by Rusty Wallace in the 2000 season. 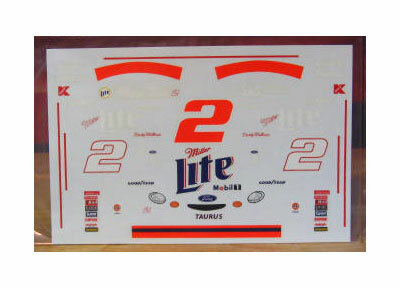 #2 Miller Lite Harley Davidson Taurus driven by Rusty Wallace in the 2002 season. 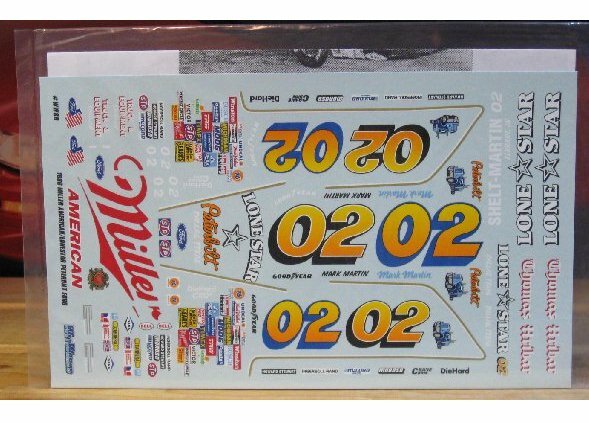 #2 Miller Lite "No Bull" Taurus driven by Rusty Wallace in the 1998 Brickyard 400. 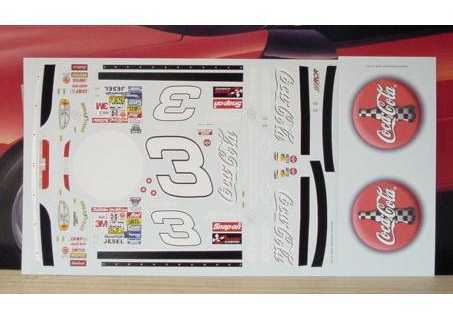 #3 Coca Cola Monte Carlo driven by Dale Earnhardt at Japan in 1998. 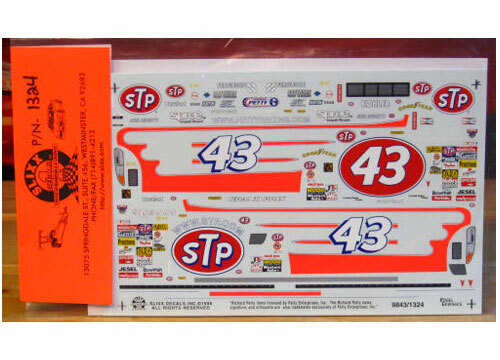 #3 Goodwrench Monte Carlo driven by Dale Earnhardt in the 1997 season. 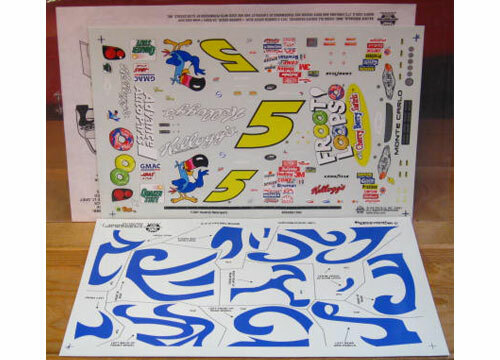 #5 Cherry Berry Swirls Monte Carlo driven by Terry Labonte in the 2000 season. 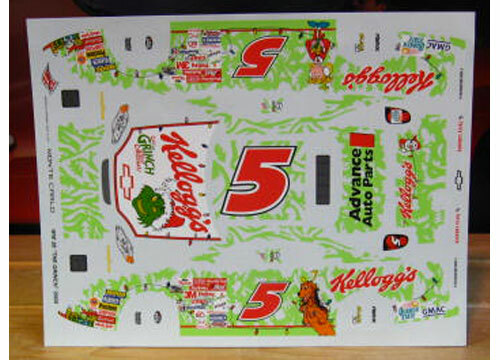 #5 "The Grinch" Monte Carlo driven by Terry Labonte in the 2000 season. 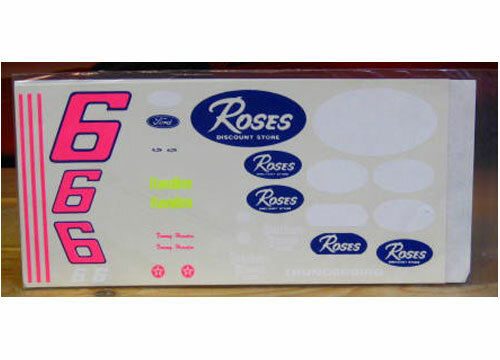 #6 Roses Thunderbird driven by Tommy Houston in the 1993 season. 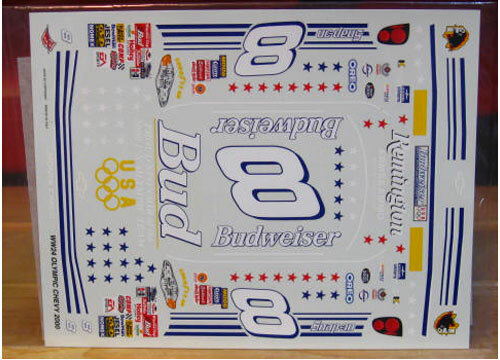 #8 Budweiser Olympic Games Monte Carlo driven by Dale Earnhardt Jr in the 2000 season. 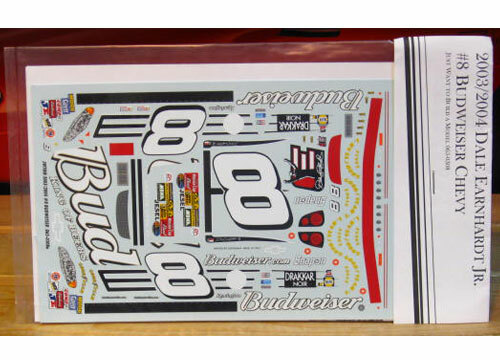 #8 Bud True Music Monte Carlo driven by Dale Earnhardt Jr in the 2003 season. Super Rare JWTBM Sheet! 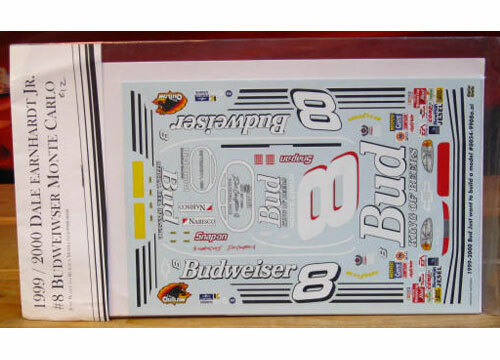 #8 Budweiser Monte Carlo driven by Dale Earnhardt Jr in the 2000 season. 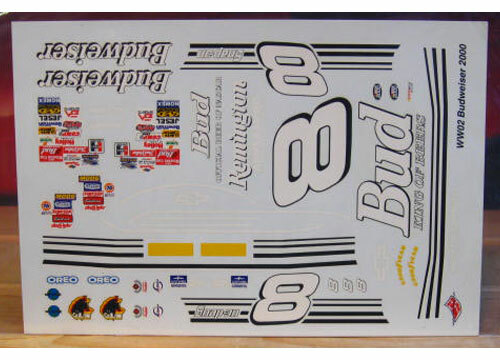 #8 Budweiser Monte Carlo driven by Dale Earnhardt Jr in the 2003-04 season. Super Rare JWTBM Sheet! 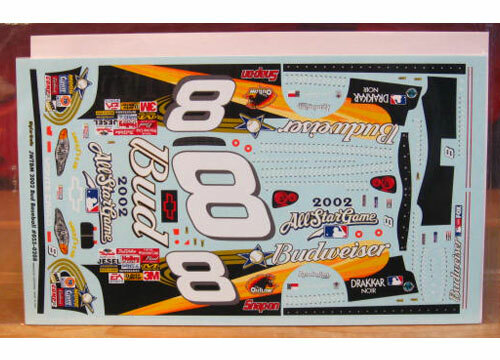 #8 Bud MLB All Star Game 2002 Monte Carlo driven by Dale Earnhardt. #8 Gossamer Monte Carlo driven by Dale Earnhardt Jr at Richmond in the 2002 season.